Under the bridge Bohinj Lake flows under the name Jezernica River. After 100 m it merges with the stream Mostnica. And here begins the river Sava Bohinjka. Imagine that you could paddle down the stream to the Black Sea! The water experience with experienced guides that we offer will be somewhat shorter. 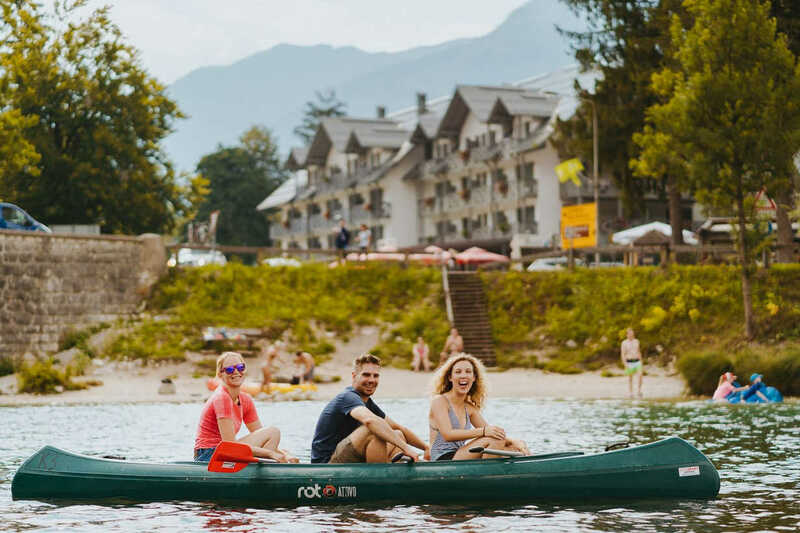 You will find the most beautiful part of the river on the most visited 1.5-hour tour of the SIT-ON-TOP CANOE OR KAYAK TRIP SAVA BOHINJKA - 6km, which takes you to the village of Brod, or on a 3.5-hour tour of the SIT-ON-TOP CANOE or KAYAK TRIP SAVA BOHINJKA - 17km, where you will meet the river all the way to the double bridge in the Soteska. Transfer back to the entry point is taken care of. Suitable for beginners. This is a weather dependable activity. Adventures experience in Jerečica or Grmečica canyon. 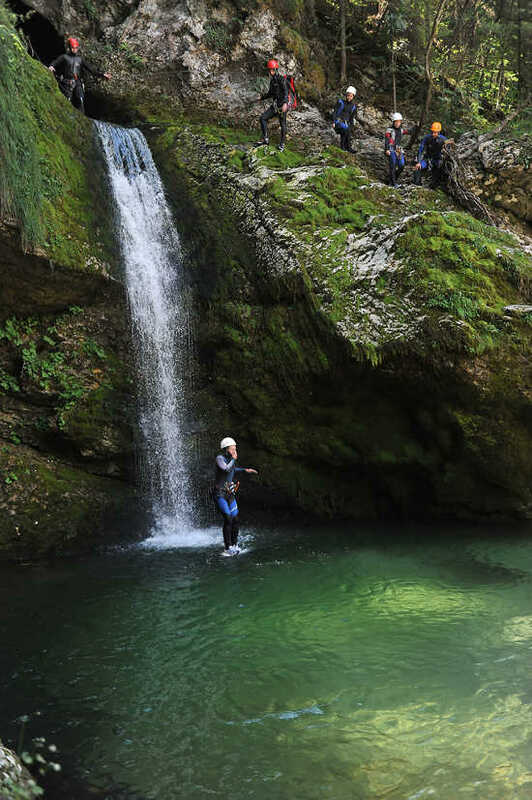 Canyoning is a term that describes swimming and descent along the mountain riverbeds. 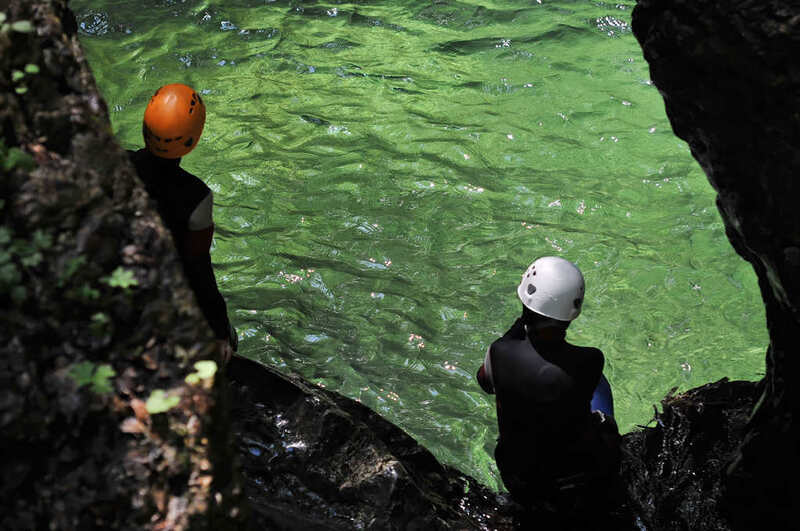 In easier canyons, swimming and jumping into pools are predominant, while in heavy bumps a rope is needed for descending over high waterfalls. 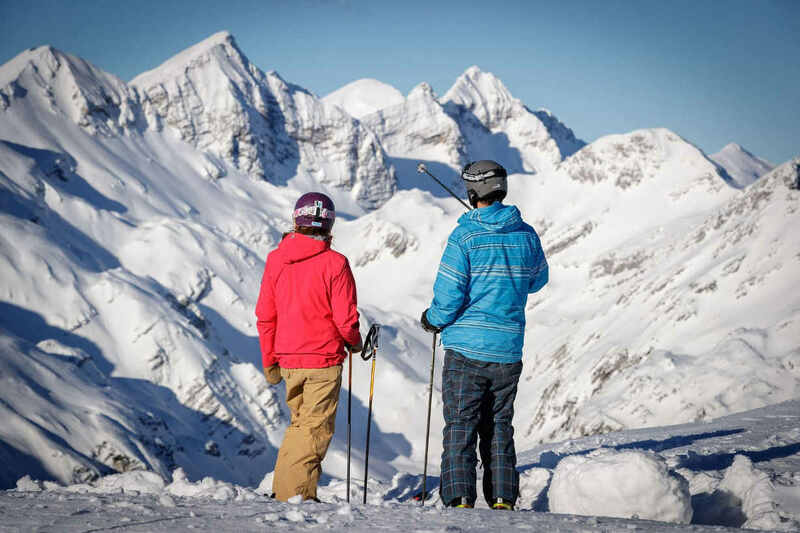 All under the watchful eye of experienced guides, in two or in a good company. How it feels to fly like a bird? 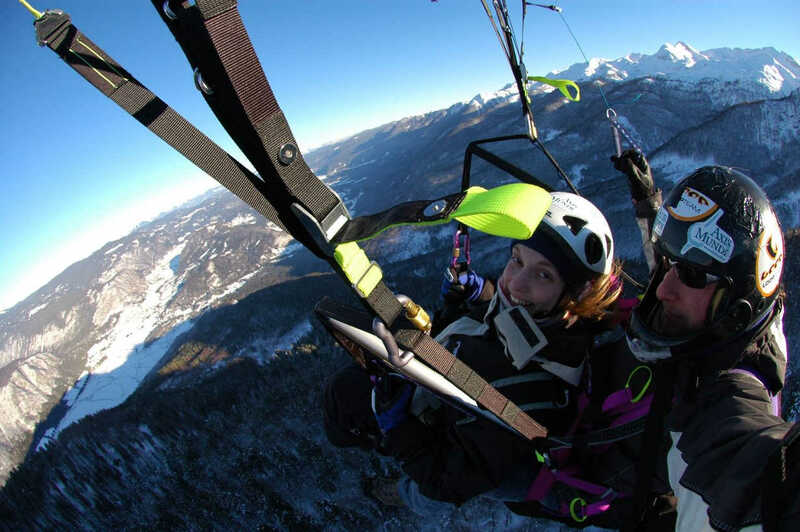 Tandem paragliding flight is a peaceful experience with the most beautiful view of Bohinj and it surroundings-the lake and the surrounding hills, all the way from Karavanke to the Triglav mountain range. If the weather conditions allow the view can be reached all the way to the sea. Finally, you can feel how birds fly! Two take off spots are available one is from Vogar (900 m), a hill just above Lake Bohinj and another one from Vogel (1670 m)-local ski resort. 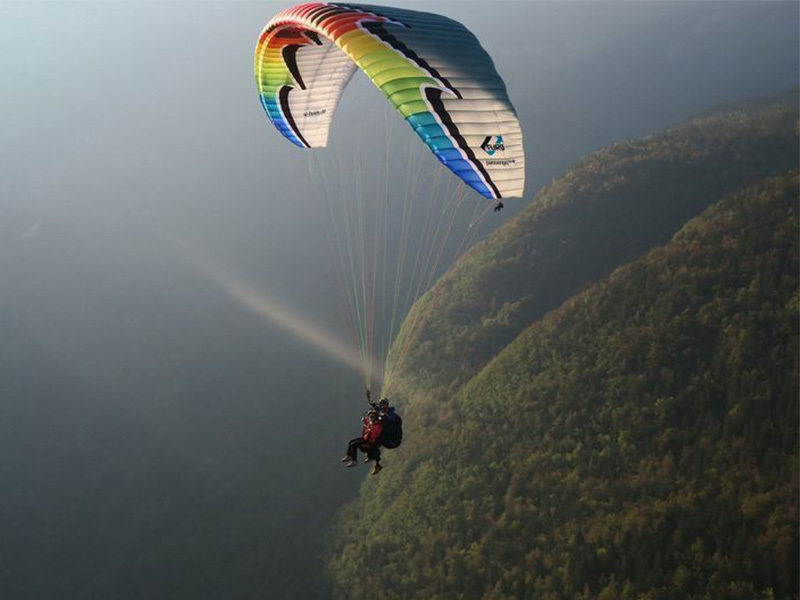 A long lasting photo tandem with a paraglider is a great opportunity to feel the freedom of the sky. 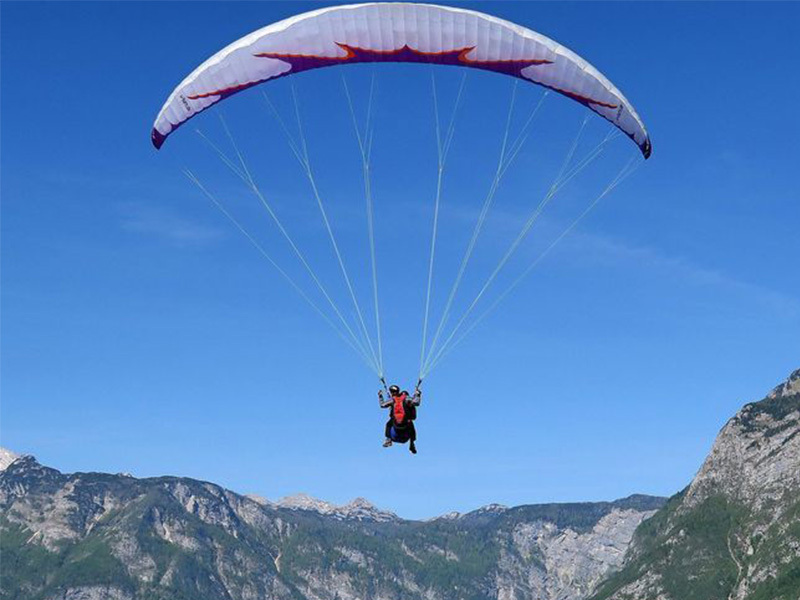 If you have a desire to feel adrenaline you can select an acrobatic paragliding flight. Or get to know this sport through TOP tandem flights. The TOP program lasts 2.5 hours and includes 40+ min flying time, basic acrobatic program and wing management. 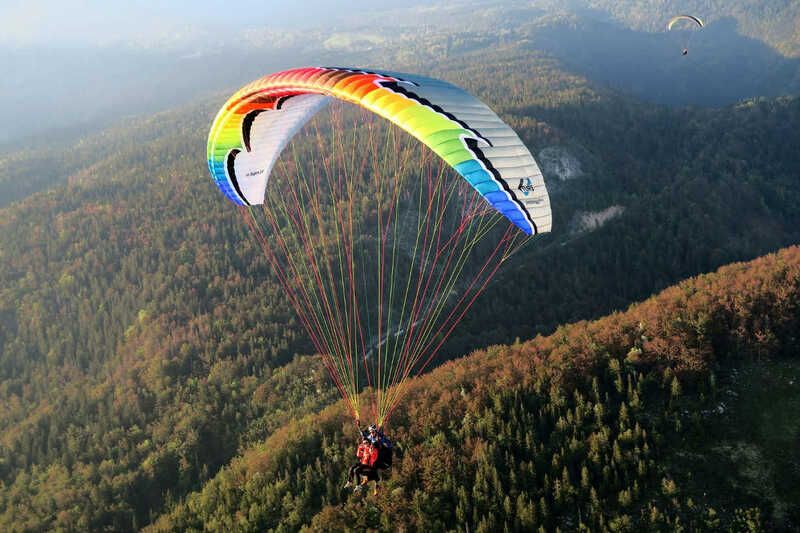 A paraglider will fly in tandem with an experienced pilot or instructor of paragliding. Previous experience for Tandem flights is not necessary. The tandem pilot or instructor will teach you what to do at the take-off site and what on landing. This is a weather dependable activity. Passengers are comfortably located in the parachute seat in front of the pilot. 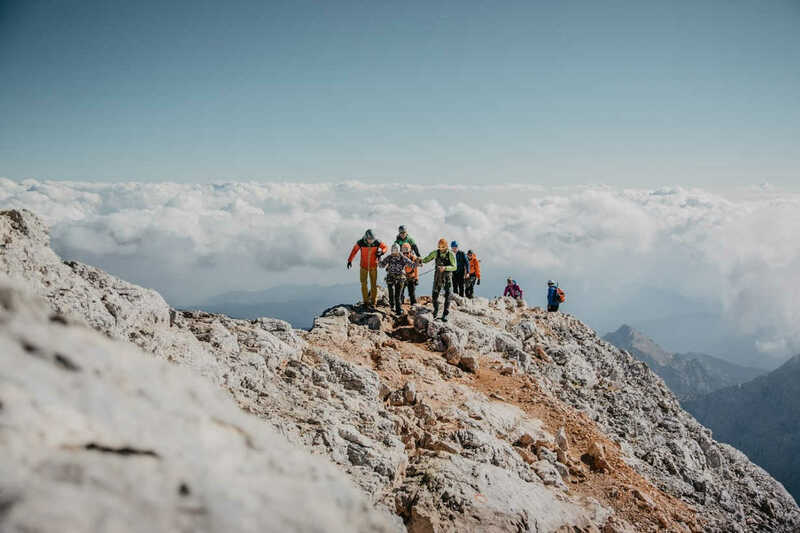 The take-off is a 10-minute walk along an organized mountain path. 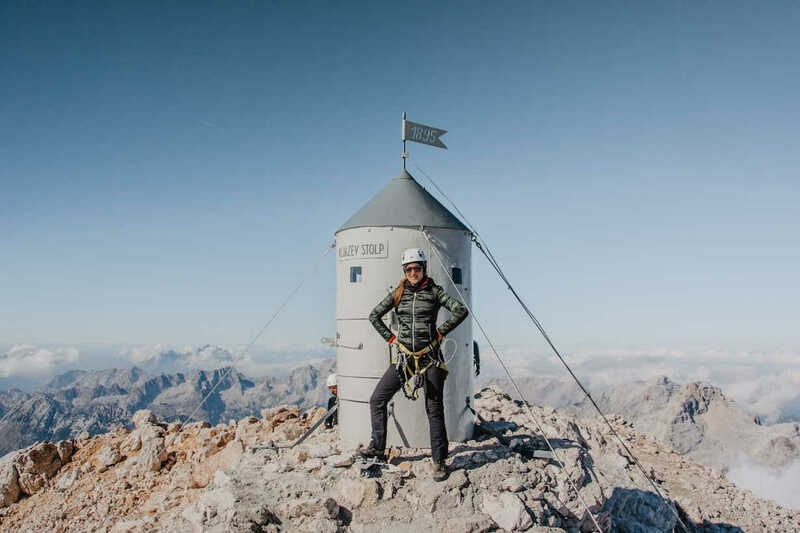 Do you want to climb the highest peak of Slovenia? 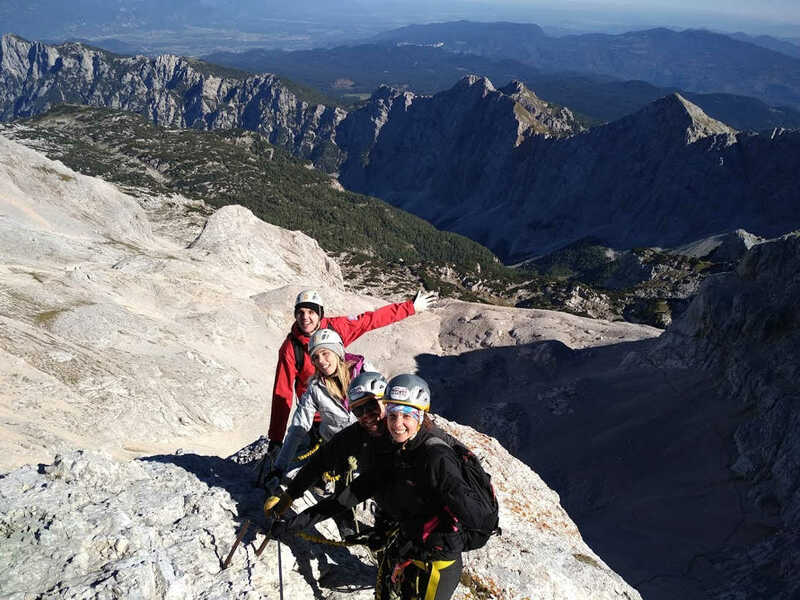 Upon the ascent to Triglav you will be accompanied by an experienced mountain guide with a license. 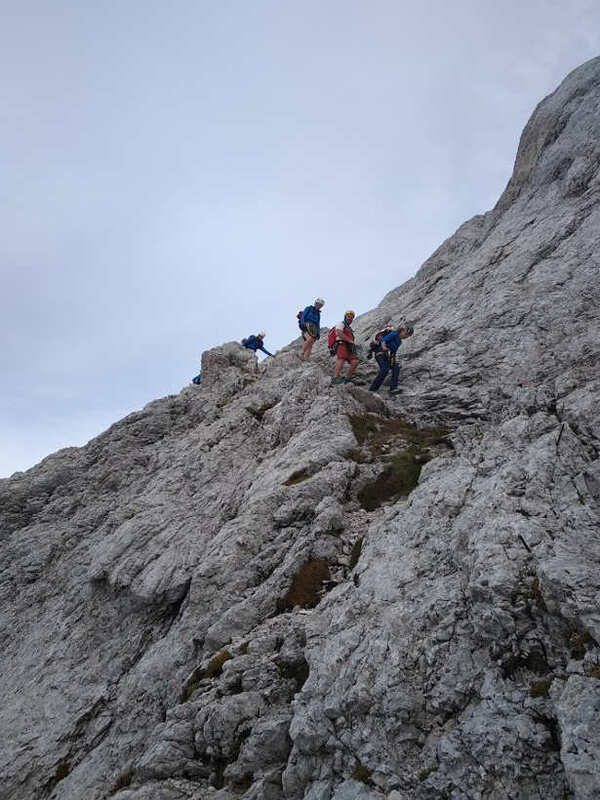 The guided ascent to Triglav is organised in small groups (max. 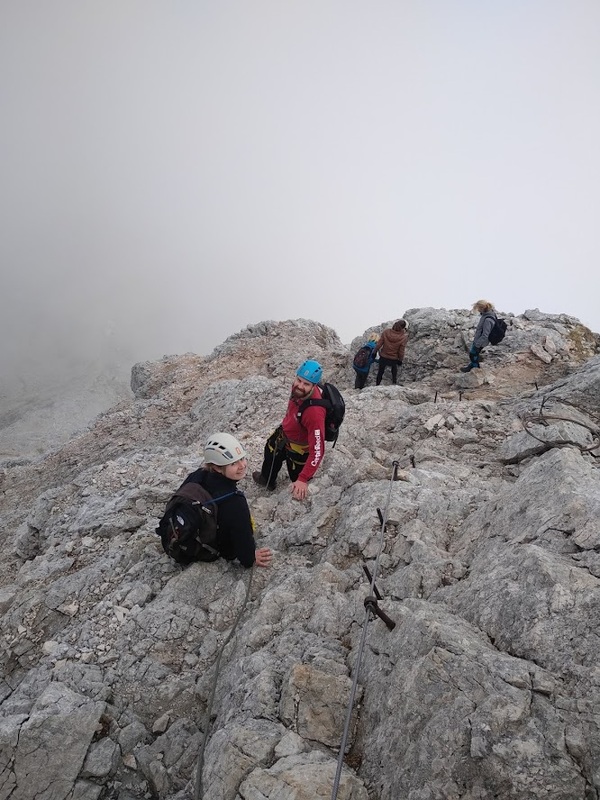 4 persons per guide), we start in the valley of Krma, which is considered the easiest starting point for a trip to Triglav. 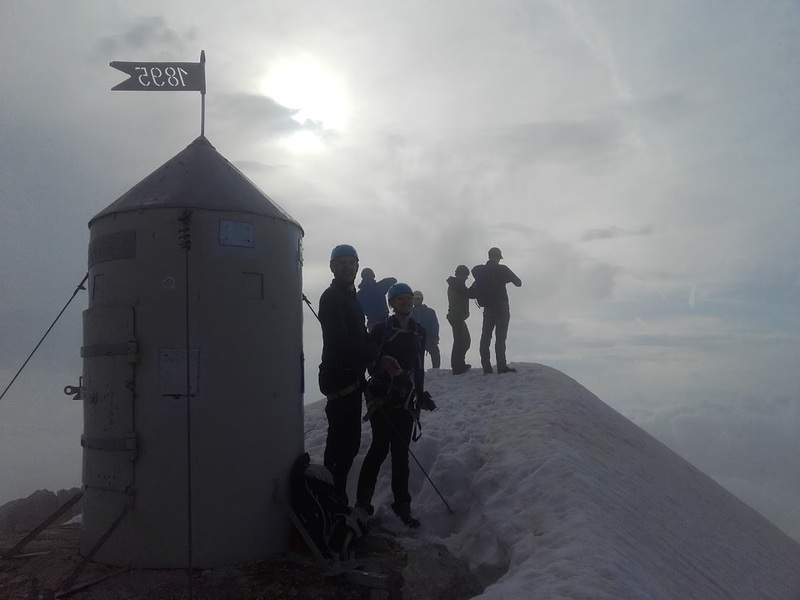 The altitude difference is 2000m, which means a total of 12-18 hours of walking in 2 days. Weather dependable activity. On the first day, the start is at 7 am, and the return to the valley is the next day around 16:00. Time of departure or. terms can vary depending on weather conditions and group structure. When? : Sunday-Monday, Wednesday-Thursday - between 20.6. and 30.9. 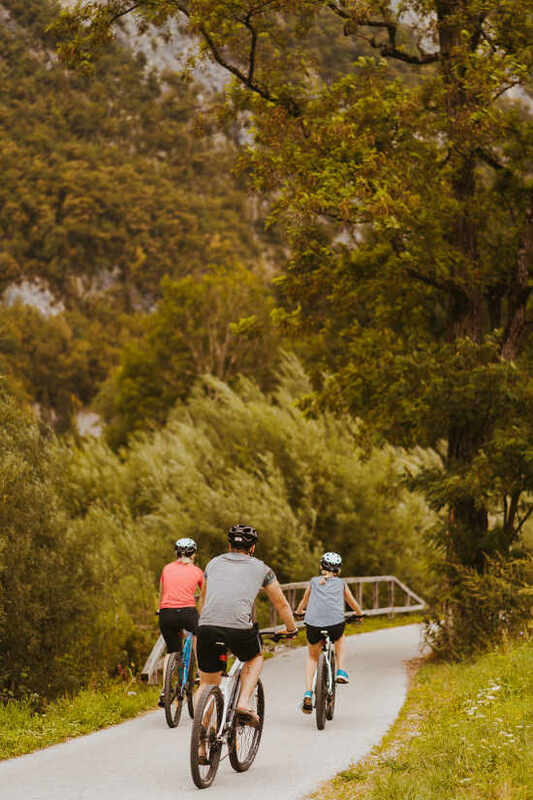 At our place you can rent bikes per hour, day or even for more days. We have Bergamont mountain bikes of various sizes, including children's. The price includes a helmet and a lock. 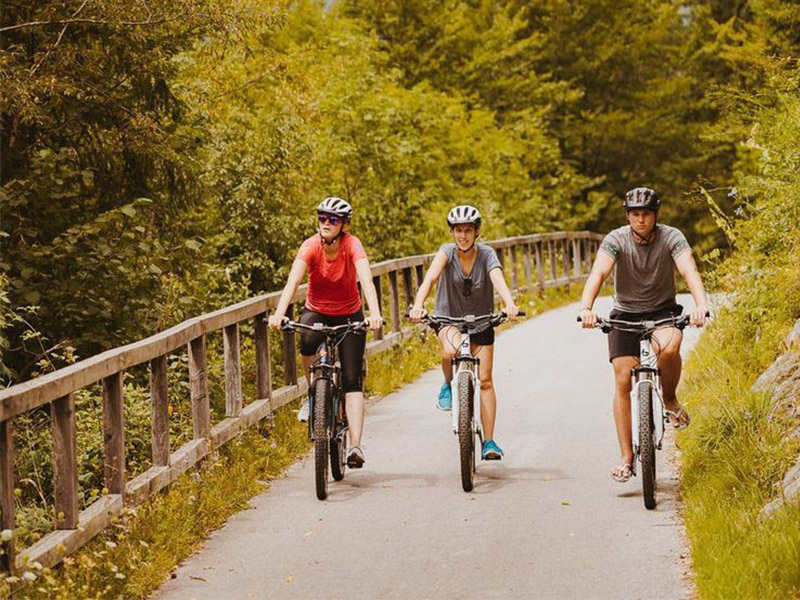 You can also rent children's seats, which are installed on the rear part of the bike, also a bicycle trailer is available for larger families. 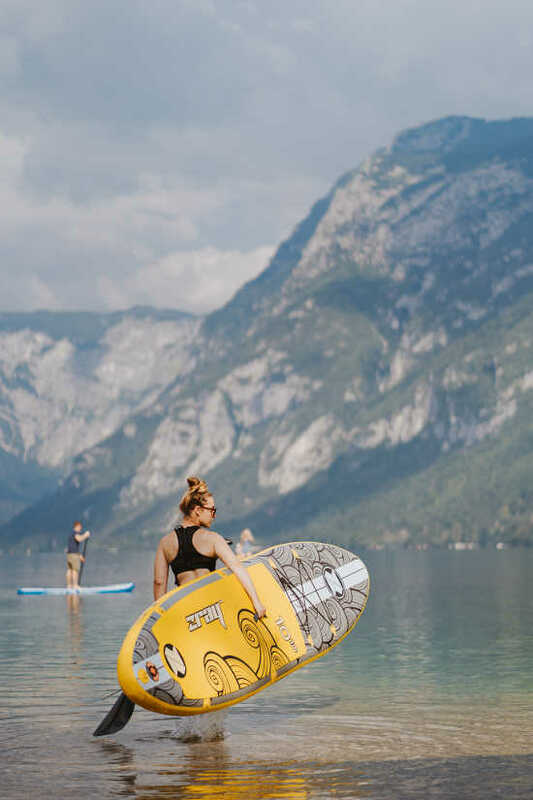 There is nothing better than paddling on the calm Bohinj Lake. 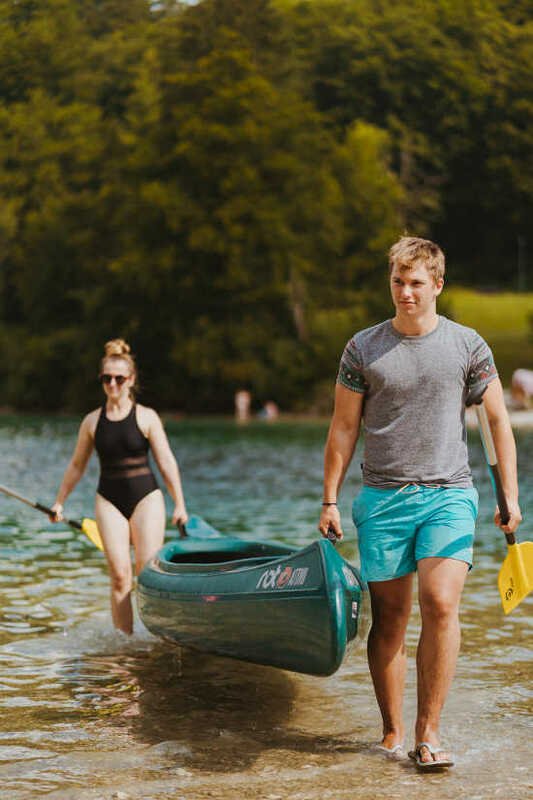 ‘’Heart of the Triglav National Park’’ as we call it is the largest permanent and natural lake in Slovenia, with a length of over 4 km and a maximum width of 1250 m. It is is suitable for both recreational rowing and the preparation of top sportsmen. 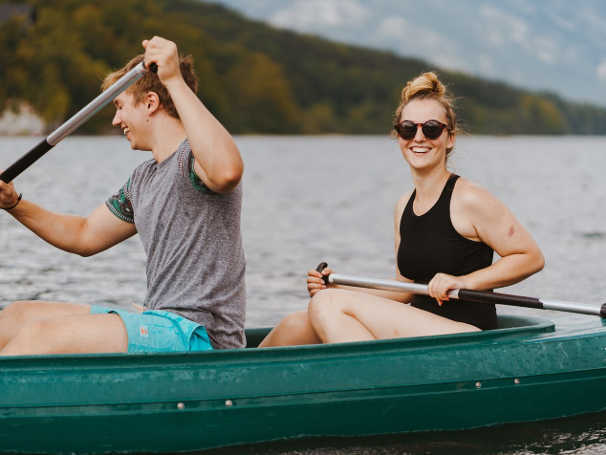 At our rental place we offer canoes of Slovenian brand Roto (2 + 1 person) and the sit-on-top canoes brand Dag Tarka, which are a bit more stable than the classic canoes. 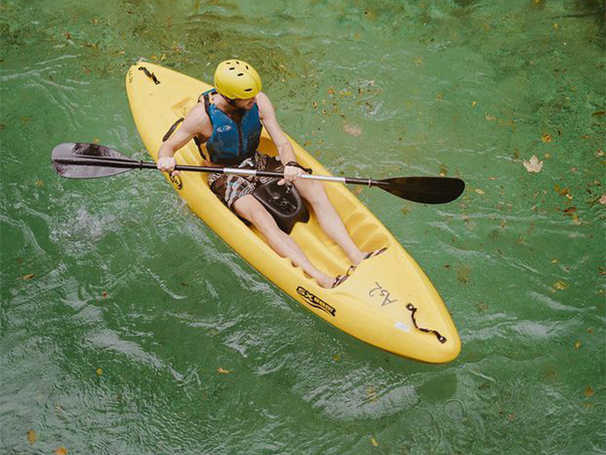 The rental price includes life jackets of different sizes and a waterproof bag. 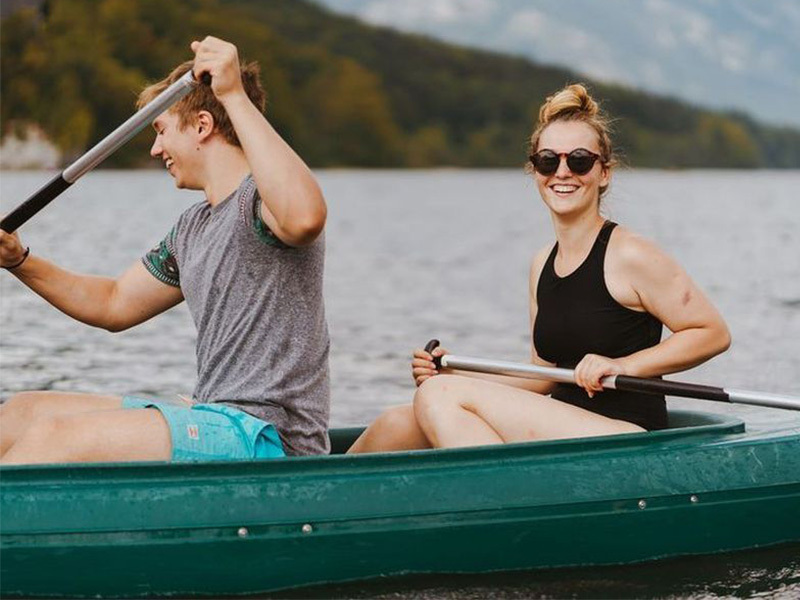 There is nothing better than paddling on the calm Bohinj Lake. 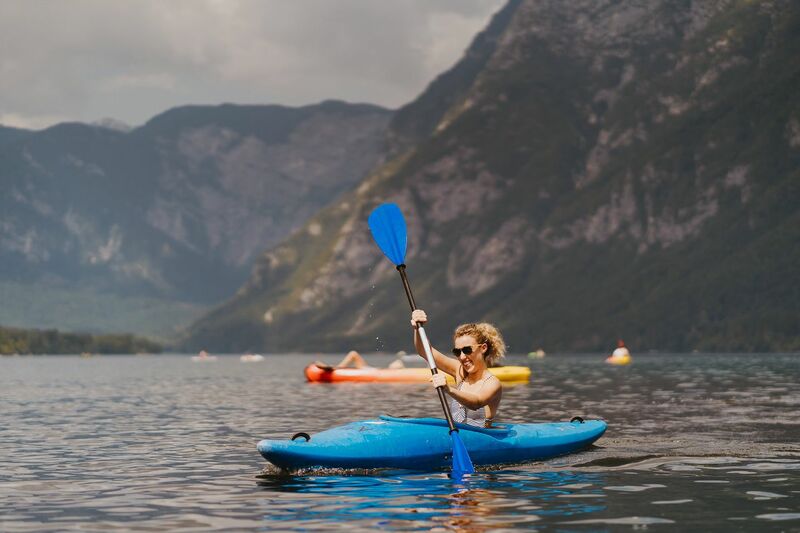 Bohinj Lake is the largest permanent and natural lake in Slovenia, with a length of over 4 km and a maximum width of 1250 m, it is the heart of the Triglav National Park. It is is suitable for both recreational rowing and the preparation of top sportsmen. 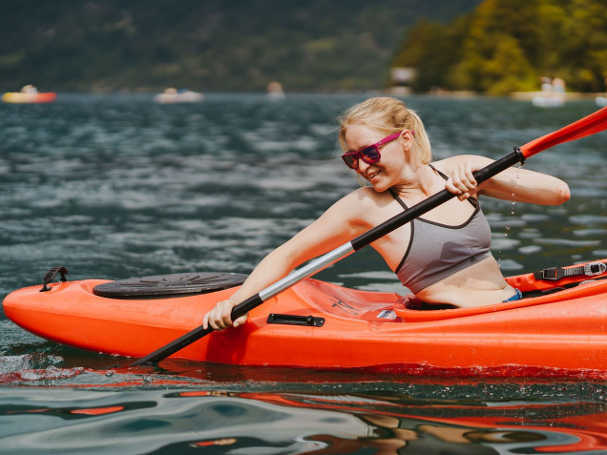 We have different models of kayaks in the rental, so you can choose the best ones for yourself. 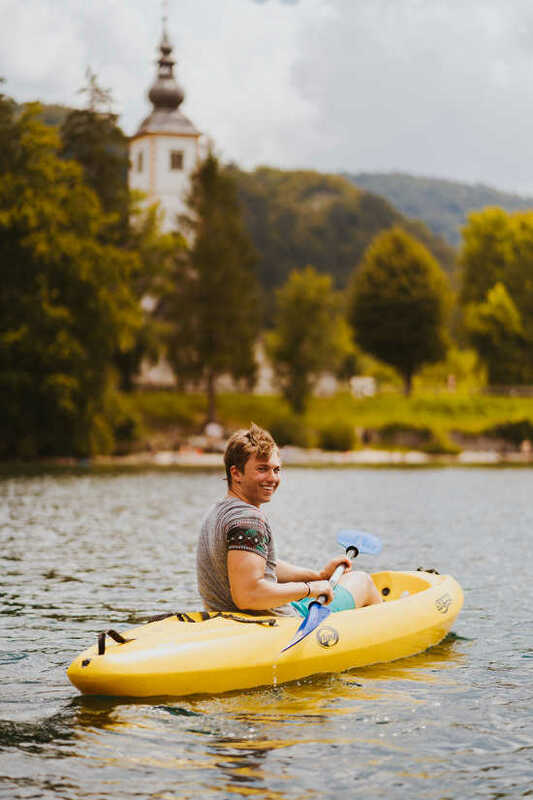 There is nothing better than paddling on the calm Bohinj Lake. 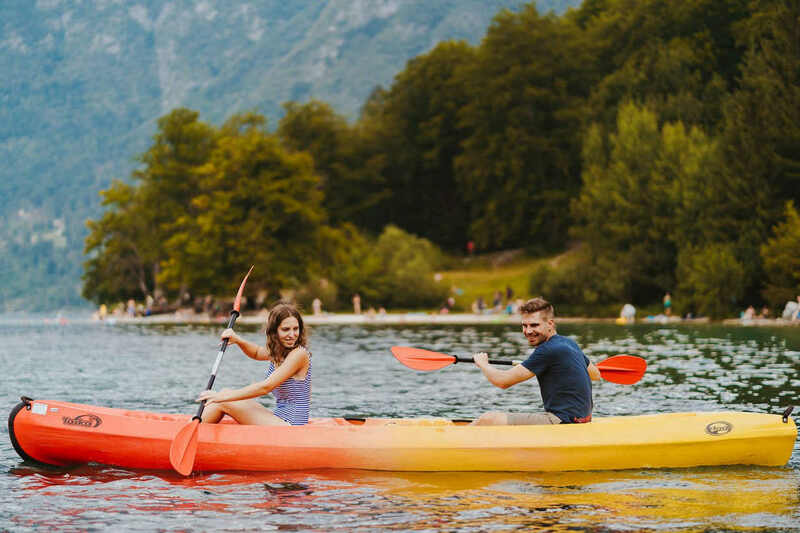 Bohinj Lake is the largest permanent and natural lake in Slovenia, with a length of over 4 km and a maximum width of 1250 m, it is the heart of the Triglav National Park. 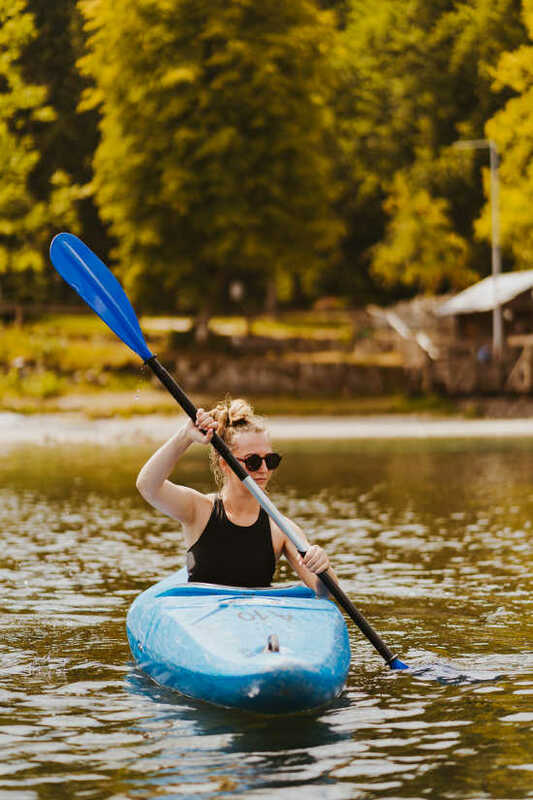 We have inflatable stand up paddles. Life jacket and waterproof bag are included in the price. If in the winter there is a sufficient quantity of snow, Bohinj is a paradise for cross-country skiing. 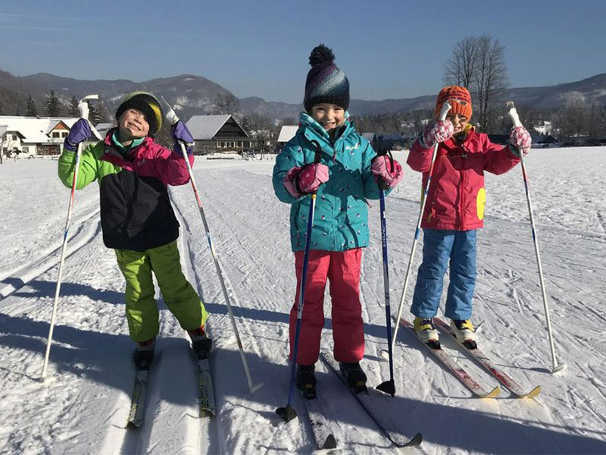 We offer rental of children's and adult running equipment for skating or classic technique (crocheted skis) of cross-country skiing. 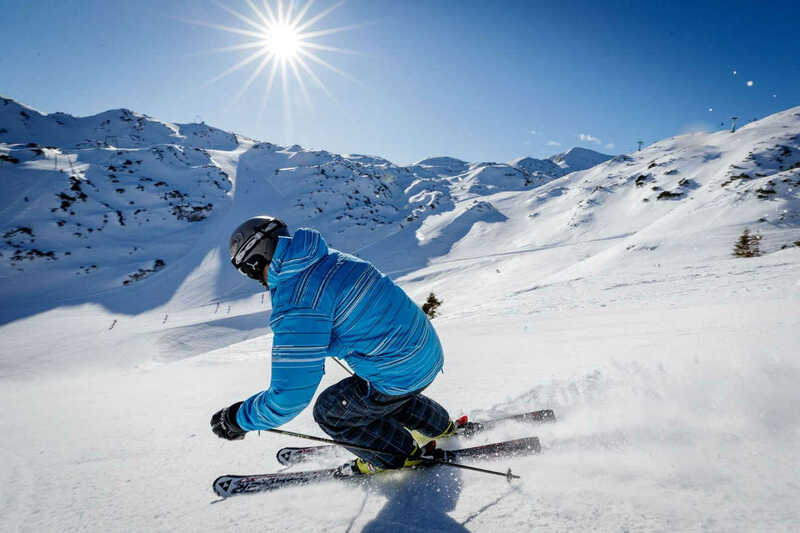 Our ski and snowboarding instructors will make sure that in the most safe and effective way you can get to your first turns on the snow slopes of Vogel. 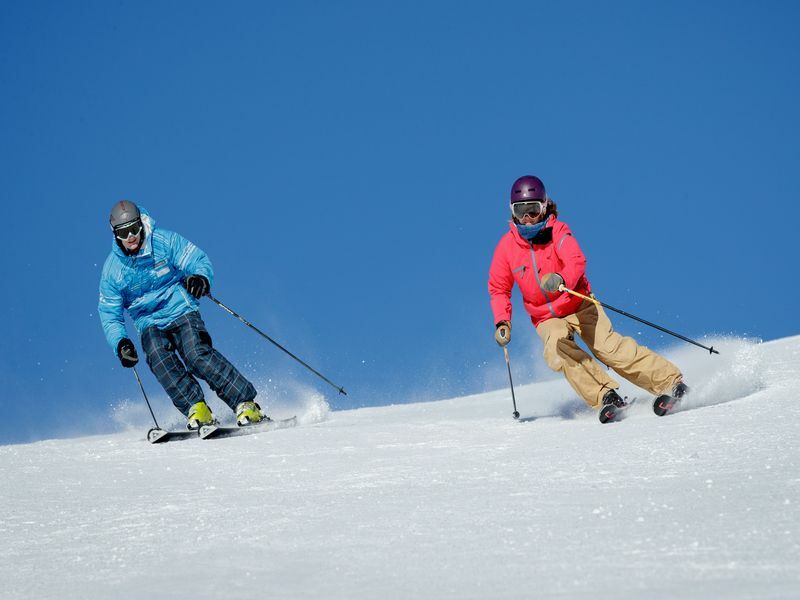 Likewise, our teachers will take care of learning more experienced skiers and snowboarders who want to improve their technique only. 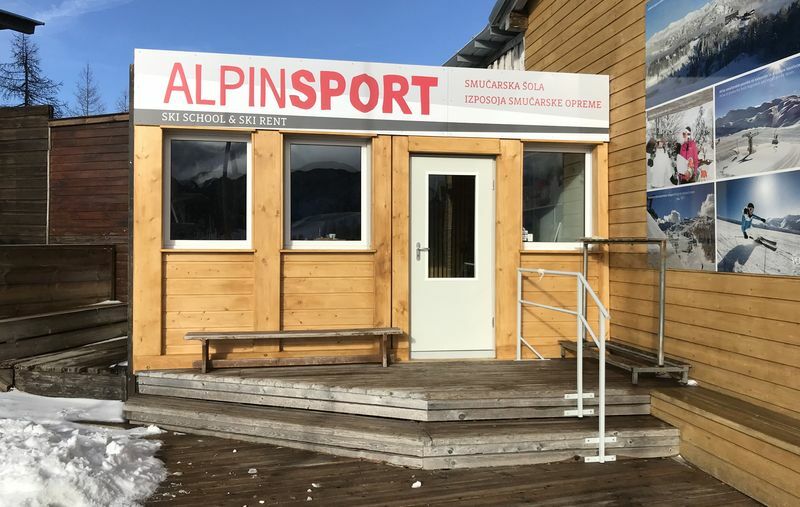 Alpinsport ski school at the Vogel ski resort is a member of the Association of Teachers and Trainers of Skiing Slovenia (ZUTS). Duration: For beginners we recommend 1-2 individual hours per day. Cross-country skiing is becoming more and more popular for winter recreation. For the sake of affordability, ease of performance and an increasing number of running tracks, more and more people are choosing this type of exercise. 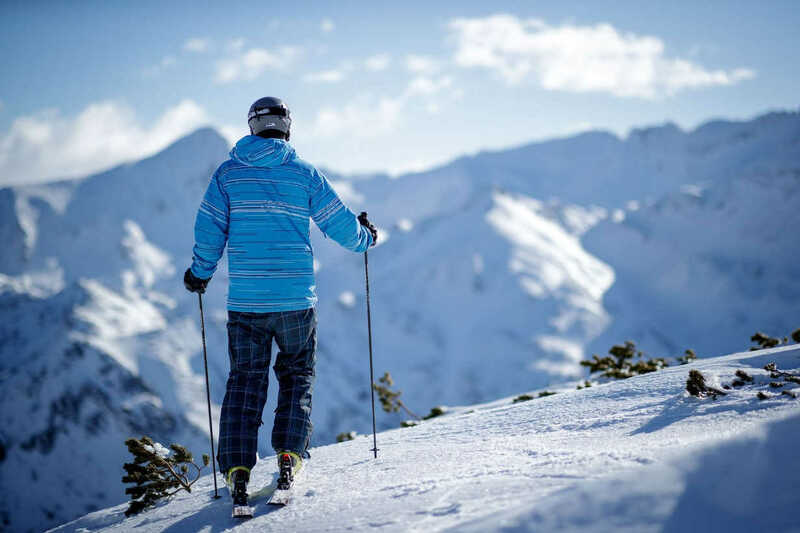 The positive side of the cross-country skiing is also the fact that the whole body is included in this exercise, which means significantly less strains on the individual muscles and joints and consequently less damage. We organize learning on the cross-country skiing tracks in Bohinj. Duration: For beginners we recommend 1-2 individual hours per day. In the case of a group (4-8 people) we recommend 2-3 hours a day. 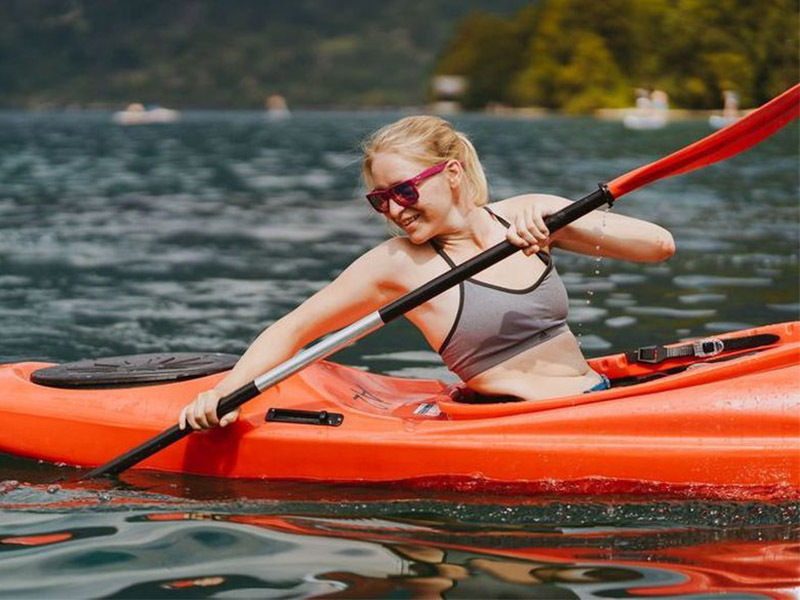 If you are individual or there is a few of you who would like to learn kayaking, this is the best way to start. 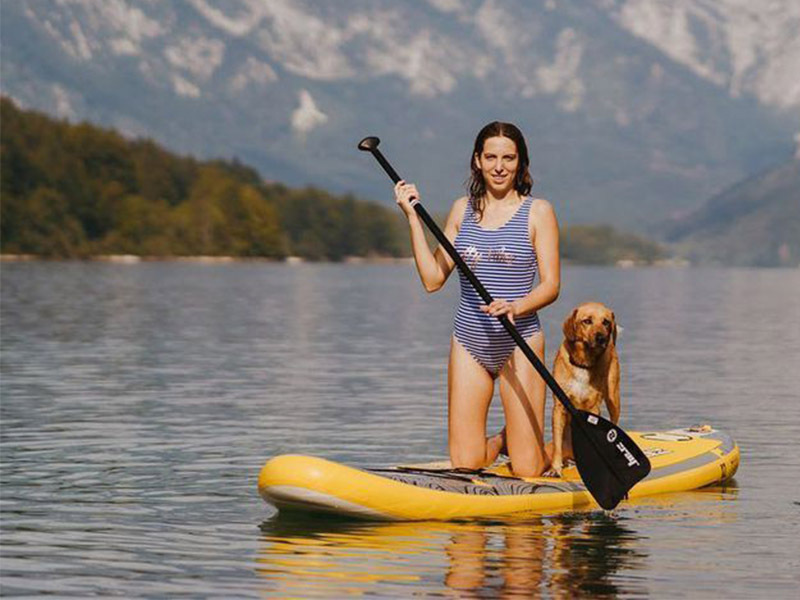 From the first rows on the Bohinj Lake to the more difficult parts of the Sava Bohinjka River. Duration: For beginners we recommend 1-2 hours a day. 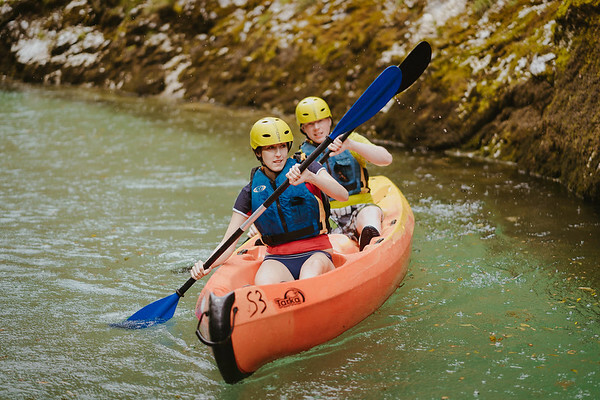 The school sports day includes activities: cycling, canoeing, kayaking or stand up paddling at Bohinj Lake and climbing on a natural rock. Each activity lasts 1 - 1.5 hours. The start is usually between 9:00 and 10:00 (or by appointment). 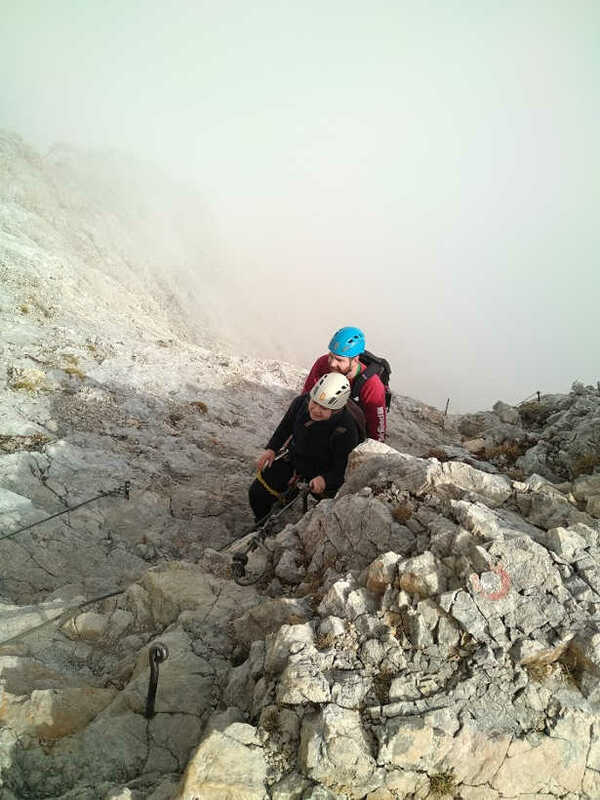 The participants are divided into smaller groups, the activities are carried out simultaneously, the groups are changed so that everyone experiences all the activities. Note: The guided excursion depends on weather conditions. 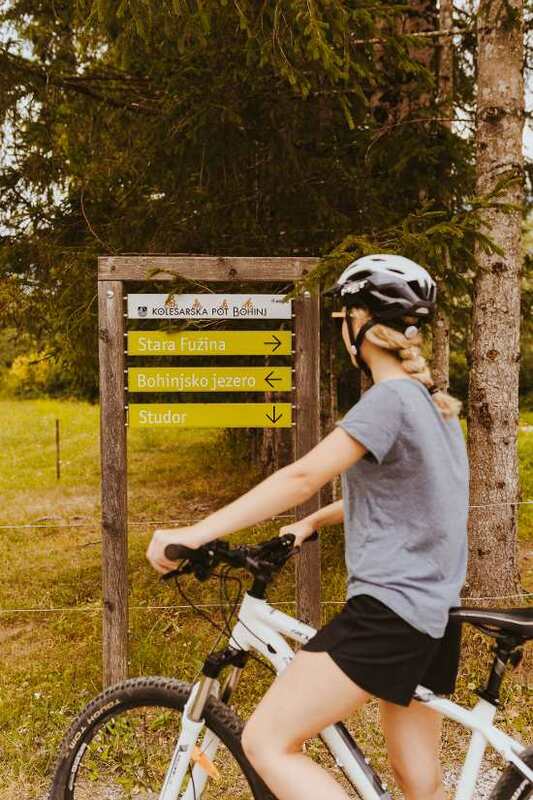 Nature in Bohinj calls for adventurous day. By arrangement, we can organize one or more activities as a whole day sports day for business or a short break. Excellent team building with activities you choose yourself. At the end of selected activities you will also be able to try some of the local food. The choice of content depends on the season and weather conditions. 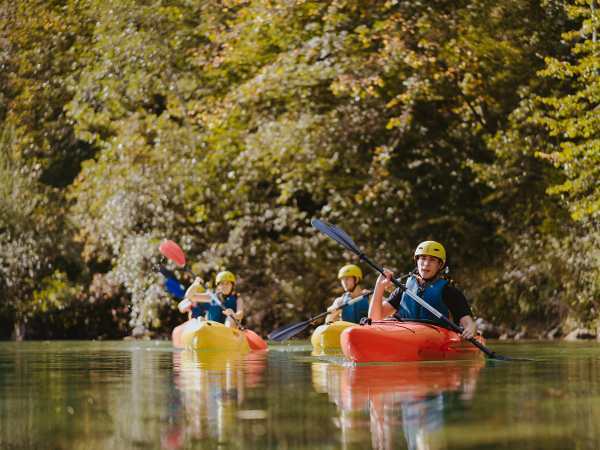 Adventures experience in the Jerečica canyon. 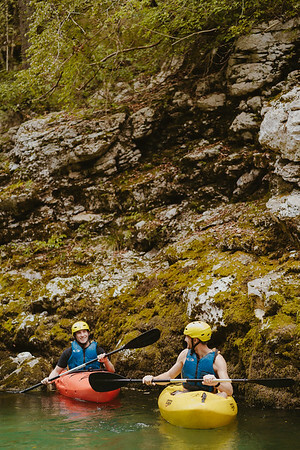 Canyoning or canyoning is a term that describes swimming and descent along the mountain riverbeds. 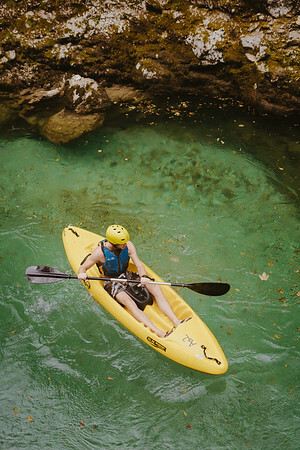 In easier canyons, swimming and jumping into pools are predominant, while in heavy bumps a rope is needed for descending over high waterfalls. 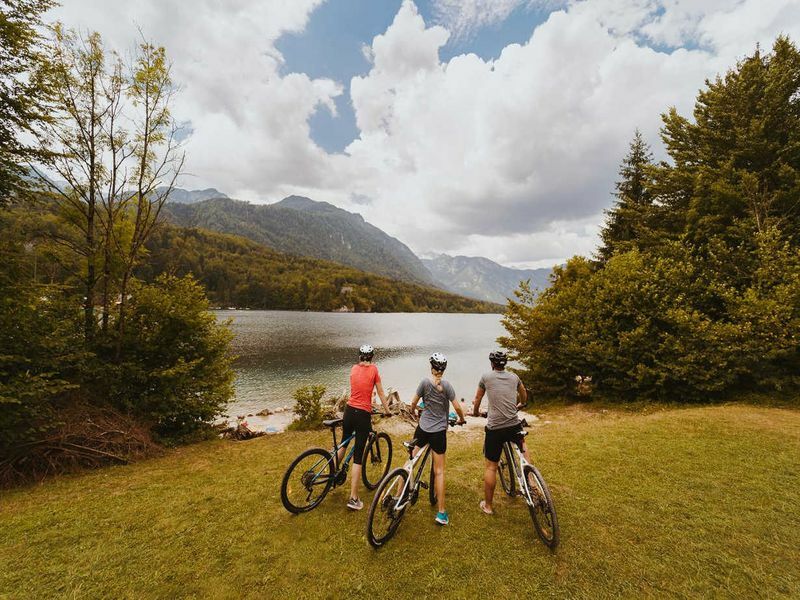 After canyoning, rent a bicycle or canoe to explore the beautiful corners of Bohinj. When? 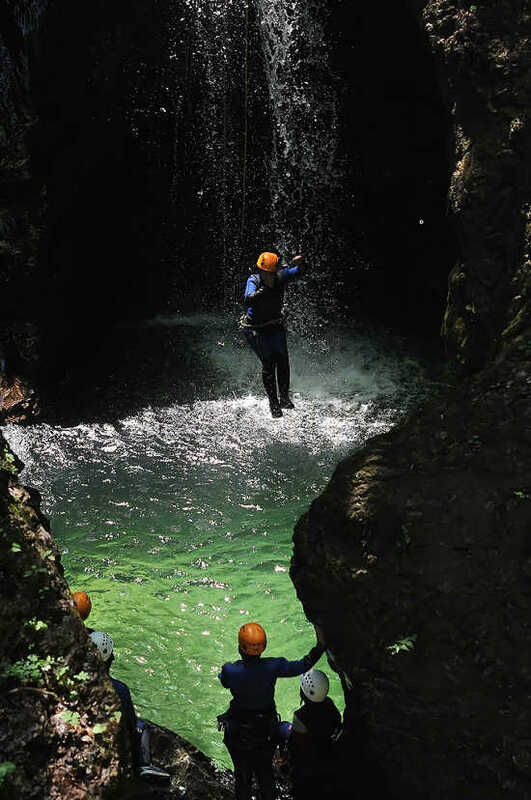 : You can do canyoning during the summer season every day at 9:00 am and at 3:00 pm with prior announcement of the group. Canoeing or bicycle rental by appointment. 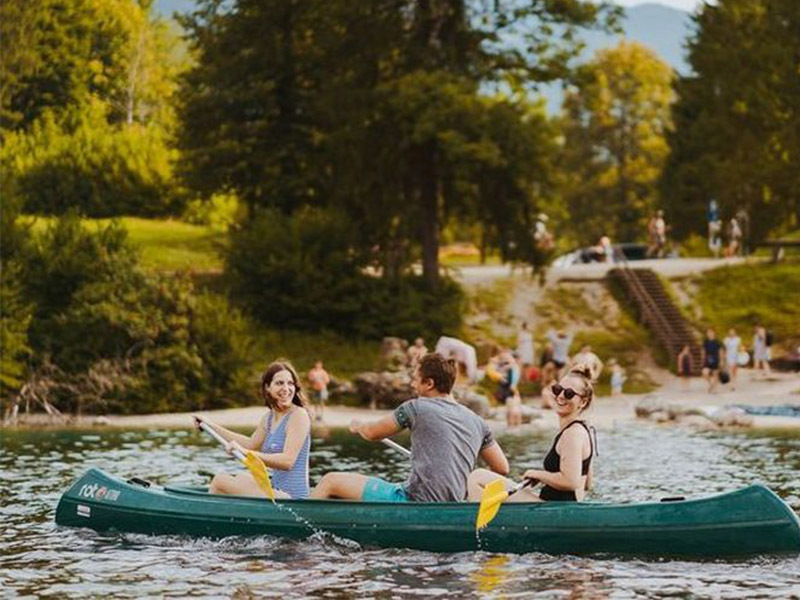 You will discover the most beautiful part of the river on the 6 km long experience called SIT-ON-TOP CANOE TRIP SAVA BOHINJKA - 6km, which leads you to the village of Brod. 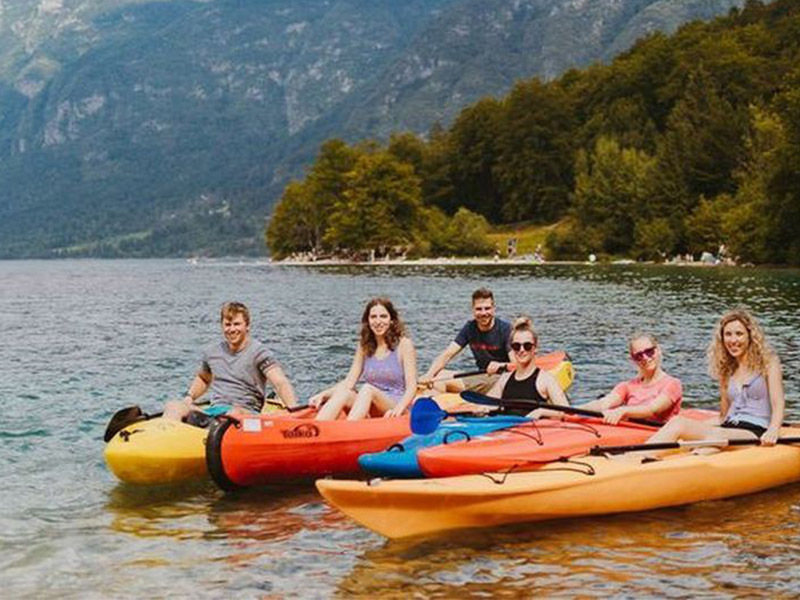 After the canoe trip,rent a bike and a canoe to explore the corners of Bohinj. Adventures experience in Jerečica canyon. 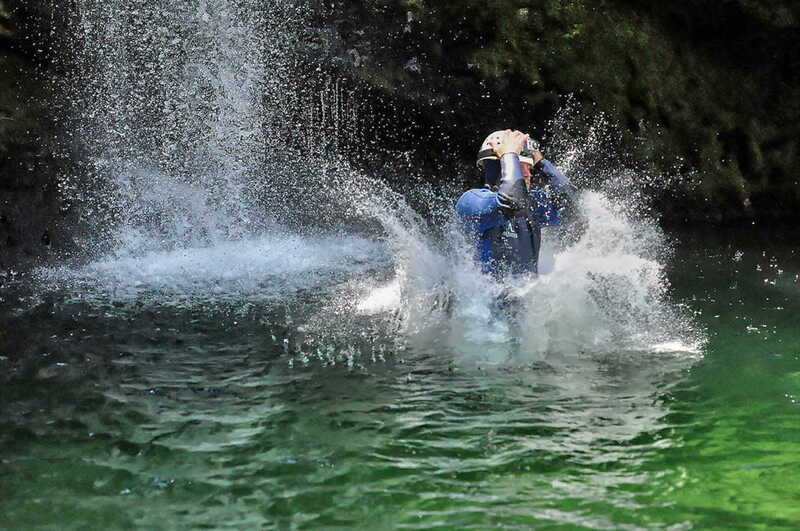 Canyoning is a term that describes swimming and descent along the mountain riverbeds. In easier canyons, swimming and jumping into pools are predominant, while in heavy bumps a rope is needed for descending over high waterfalls. 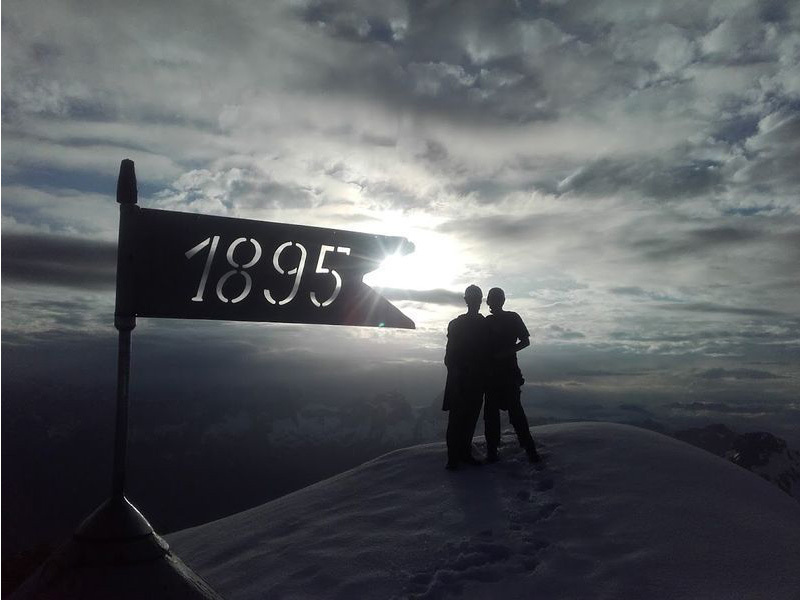 All under the watchful eye of experienced guides, in two or in a good company. 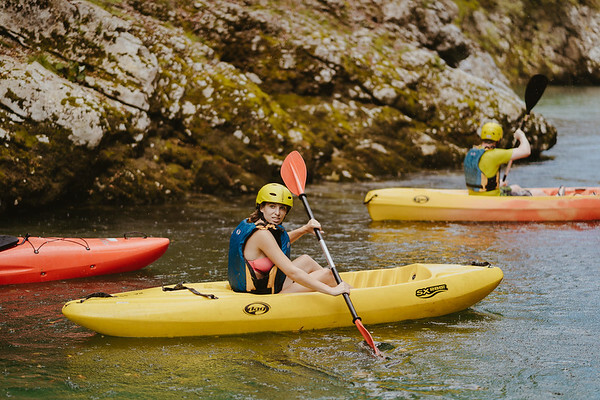 You will discover the most beautiful part of the river on the 6 km long experience called SIT-ON-TOP CANOE TRIP SAVA BOHINJKA - 6km, which leads you to the village of Brod. Adventures experience in Jerečica canyon. 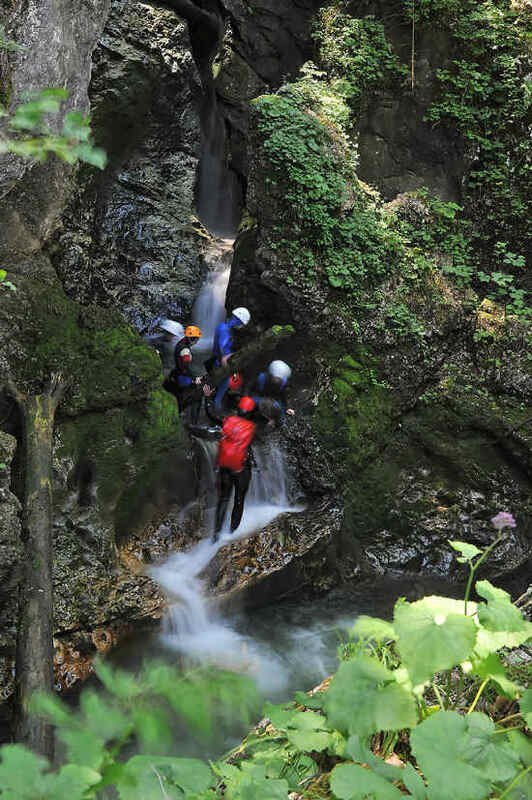 Canyoning is a term that describes swimming and descent along the mountain riverbeds. 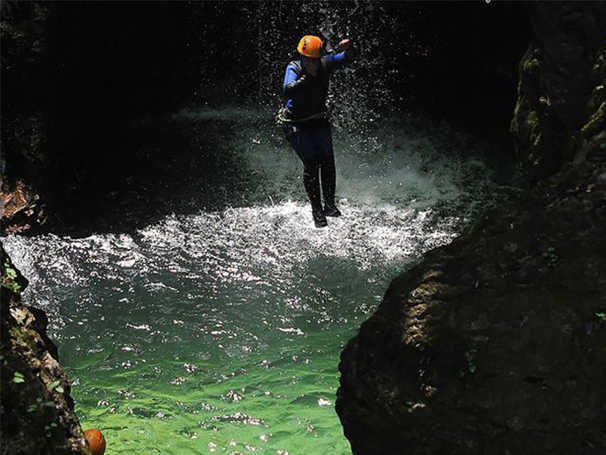 In easier canyons, swimming and jumping into pools are predominant, while in heavy bumps a rope is needed for descending over high waterfalls. 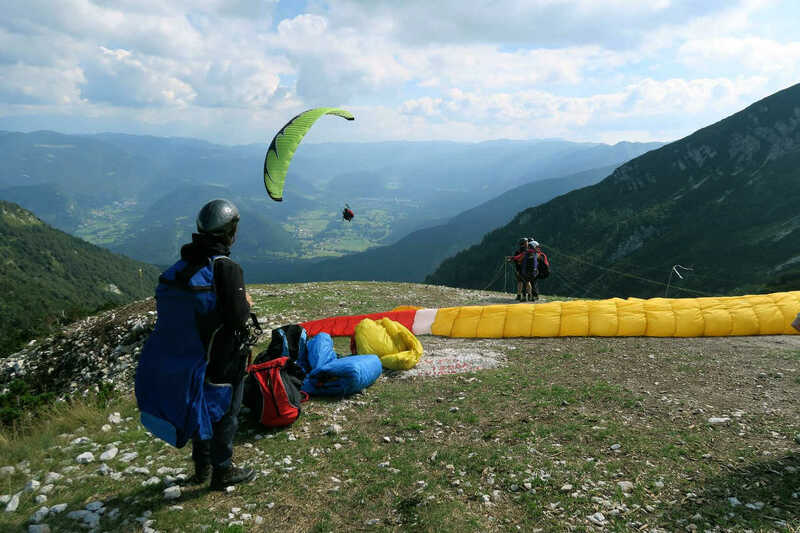 Tandem paragliding flight from Vogar is a peaceful experience with the most beautiful view of Bohinj and it surroundings-the lake and the surrounding hills, all the way from Karavanke to the Triglav mountain range. Finally, you can feel how birds fly! When? 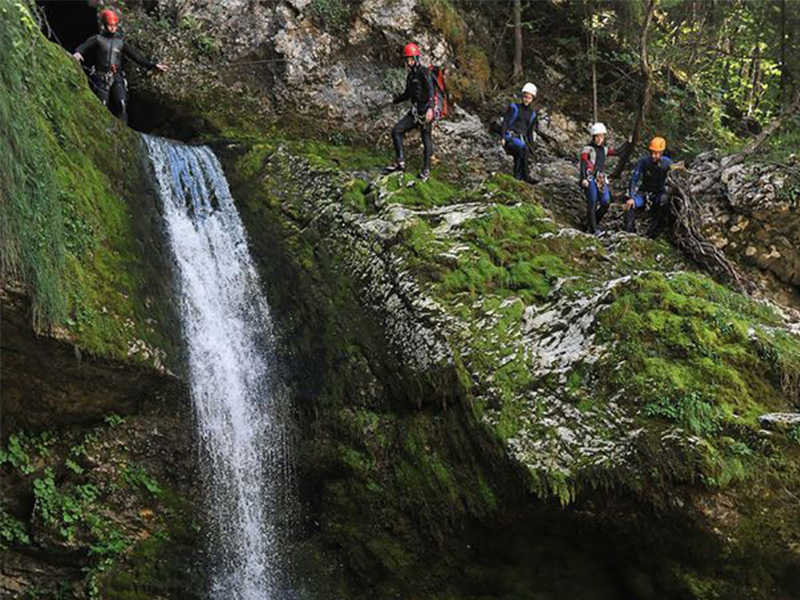 : Canyoning during the summer season, every day at 9:00 am and at 3:00 pm with prior announcement of the group. 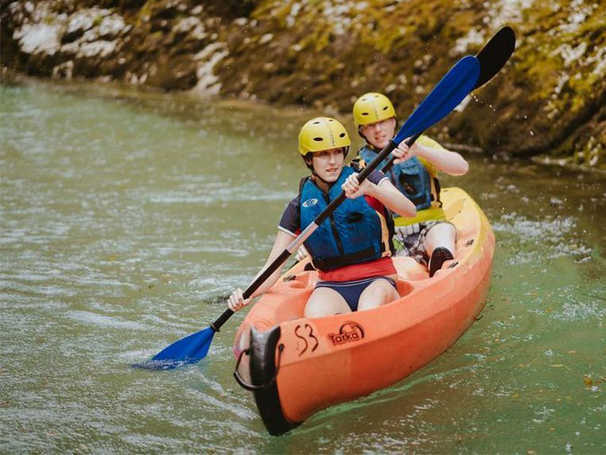 Mini rafting: During the summer season, every day at 10:00 and 14:00 oz. with prior announcement of the group. 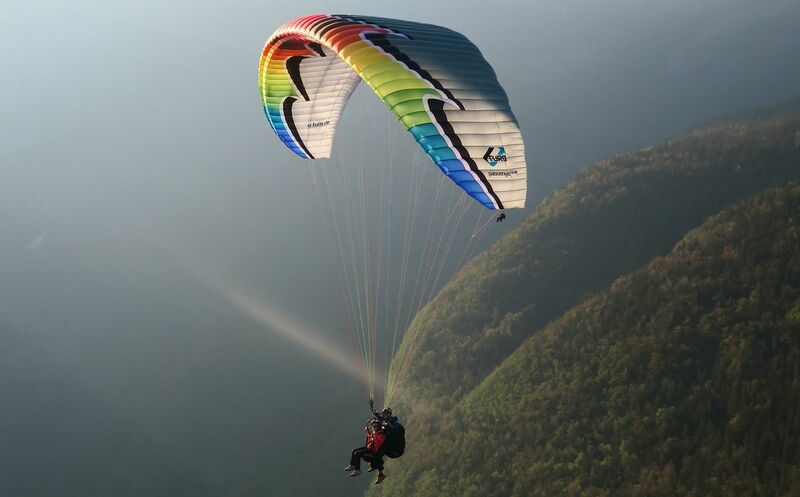 Paragliding by arrangement according to weather conditions. Lack of ideas what to buy to your dearest? Give them the unforgettable experience. From rowing along the lake or river to a tandem paragliding flight. You can decide for a specific experience or leave a choice to a presenter. choose a payment method: for delivery, via a trr. Gift voucher is valid for 1 year from purchase. We recommend that you call us at our office one day before your activity, because some activities are limited by number of participants and weather conditions. 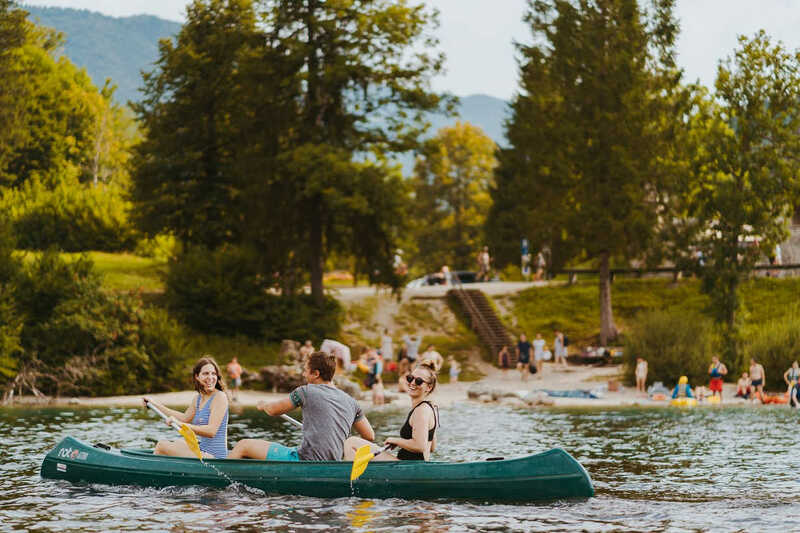 Who knows the hidden corners of Bohinj better than locals? We will be glad to show them to you. Our team is a group of professional guides with all legally required licenses. We take care of additional education and offer something new every year. We all communicate in English. 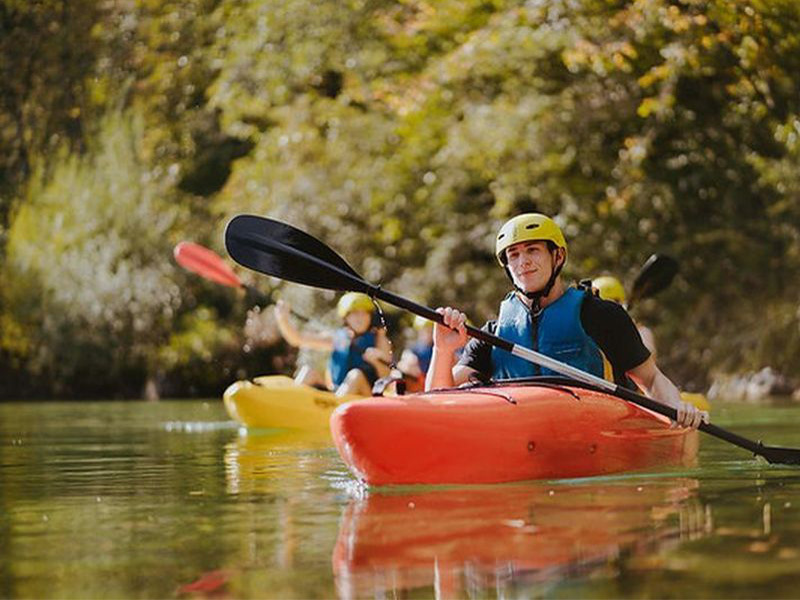 Friendly local agency for summer & winter, outdoor activities & adventures, specialized for independent and smaller groups since 1990. 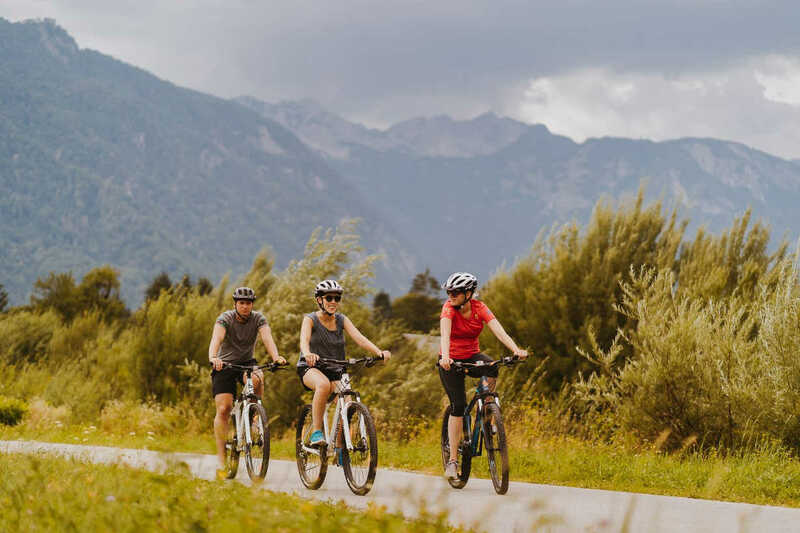 We are located in Bohinj, Slovenia right in the glacier valley, in the heart of Triglav National Park in Julian Alps. Welcome in our office. We are here to help you make the most of your stay with plenty of insider tips and friendly advice.